No, I’m not originally from Lakeland. I’m originally from a small country town called Wauchula, FL. I moved to Lakeland in 2005 after hurricane Charley. I have been living in Lakeland for almost 10 years on and off. Great question! I get asked that question all the time and I say, “I do a lot”. Which I do. I own three companies: The Credit Repair Supermarket, Speedy Tax Prep and Entrepreneur to Entrepreneur. I have 2 more companies that I have created that it is in the beginning stages. What I like most about my job is I like helping people, serving my community and being an educator. I want to be people to become educated on how to run a successful business and being a voice for the voiceless. How they can become an educated entrepreneur. What I like most about Lakeland is that Lakeland is becoming the catapult for many new companies coming to the area which is helping to produce more jobs in Lakeland. I love that The City of Lakeland is birthing new opportunities for upcoming entrepreneur. 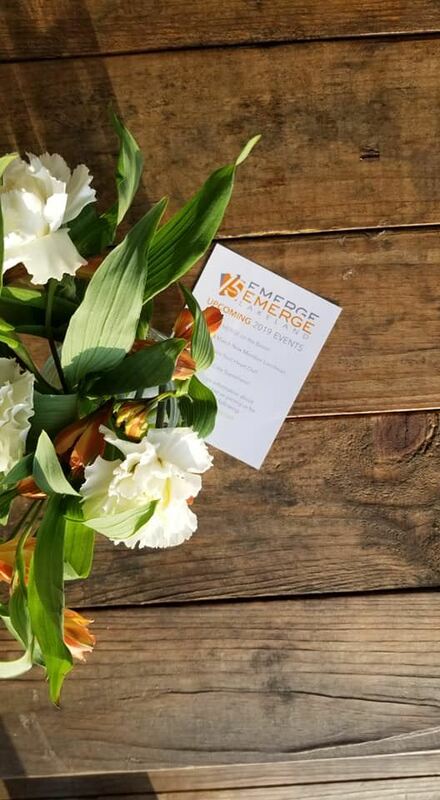 I join EMERGE Lakeland because I want to be around like-minded people that share the same passion as me to impact our community and being a true leader. I want to be able to learn from other business leader to help me become a better leader. I’m a firm believer in the power of connections and building long lasting relationship. My motto is its Collaboration over Competition. I would like to add that I just released a book called “The Small Business guide to getting business credit. I wrote this book with the small business in mind. I notice a lot of people was giving up on their passion or becoming frustrated because of lack of resources and funds. I want to educate people that there are alternative resources that will help fund their business. So Are you ready to be an Educated Entrepreneur? No, I was born in Asunción, Paraguay and raised in Fairfax, VA. I am the General Manager of Tropics Soccer Club, the professional soccer team here in Lakeland. The fast paced and constant evolution of the sports industry. Everyday is a new challenge and you never know what to expect. Soccer is booming in the US, and I enjoy being a part of growing the game right here in Lakeland. I try to attend or participate in as many community activities as possible. I work everyday to do give back to the community by bringing people together through the power of sport. I have run for Mr. Central Florida, Polk Emerging Leaders, and am a member of the Lakeland Rotary Club. I also coach both recreation and competitive teams in our Lakeland Tropics FC Youth Club. I always get asked about how the team is doing or what’s new. People like talking about sports, so anything in that category is a great way to start a conversation with me. The sense of community. I have lived in Tampa and Orlando, and you do not get the same sense of pride for a community as you do in Lakeland. People are from here and have been for many generations which seems to allow people to care more about what happens in Lakeland and the growth and future of the community. I want to network more with the business community, especially with those closer to my age who are like me, the future of Lakeland. This seems like a great organization to allow the young minds to come together and work together to better our community. It is my goal to do everything I can to bring our community together through the Tropics. This is only possible if the community embraces the team and sees the benefits of having a hometown pro sports team a community can be proud of. 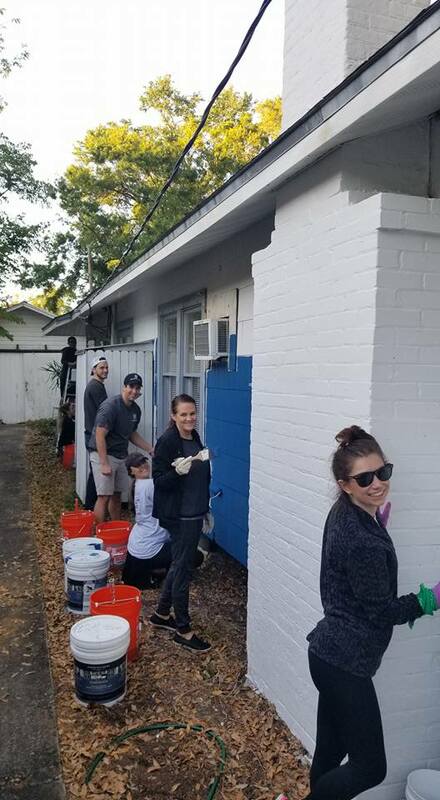 The more support we get the more we can give back to the community and help those in need. I look forward to meeting more of the young professionals who also share this vision with their various businesses and work together to assure the future of Lakeland is bright and thriving. GO TROPICS! I was born in Laramie, Wyoming and grew up in Lubbock, Texas. I’m very comfortable with wide open spaces! There is no such thing as a bad day. Even the worst meetings are cured by walking into the lobby and greeting smiling kids anxious to play and learn something new. I may have made more crafts as an adult than I did as a kid and I’m okay with that. I’m on the Board of the Tampa Metropolitan Youth Orchestra. My BA is in flute performance and my husband is a classical musician. Being able to support and advocate for young musicians is very rewarding. The youth orchestra will never turn away a student for an inability to pay tuition. If they audition in and make the cut, we will find a way to cover their costs which means up to $20,000 in scholarships each year. Dinosaurs. Thanks to my almost 6 year old I feel like I could hold a decent conversation on the topic. The wonderful children’s museum! And the thousands of happy children that visit it each year. I lived in Rochester, NY, for two years and was very active in the young professional scene. I saw the power that our voice had there and how quickly that voice propelled the City forward. I miss that and hope to serve EMERGE in a similar way.